President Barack Obama and Prime Minister Stephen Harper launched the U.S.-Canada Clean Energy Dialogue (CED) in 2009 to promote new ways to reduce greenhouse gases and combat climate change. The CED Action Plan II released last month, outlines the next phase of activities both countries will undertake. This includes continued work on carbon capture and storage, as well as integrating the electricity grid. In a press statement, Canada’s Minister of the Environment Peter Kent explained that the CED, “strengthens our efforts to collaborate on innovative clean energy solutions that reduce greenhouse gas emissions.” He also commented on how "It is our hope that the transformation of our economies and our joint work will identify clean energy solutions that will contribute to making sustainable energy a reality for all." 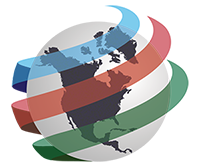 Whether real or exaggerated, environmental issues are also advancing North American integration. If you look at some of the words being used and the goals being pushed, they are tied to Agenda 21. Under the guise of protecting the environment, many solutions being offered are in the form of more taxes and control over our lives. The U.S. and Canada recently issued a Statement of Privacy Principles that will shape information sharing arrangements under the perimeter security deal. The charter covers areas such as oversight, accountability, redress, retention, data quality and information security. Attorney General Eric Holder acknowledged in a Department of Justice news release that “These privacy principles reflect the shared commitment of the United States and Canada to implement our Beyond the Border Action Plan.” The Freedom of Information and Privacy Association warned that, “What the government just announced will certainly provide more access to Canadians personal information to the U.S. and other governments.” The Canadian Civil Liberties Association have also voiced concerns on privacy safeguard provisions that were not included which, “may permit the lowest standard between the two countries to prevail.” Ever since the perimeter security action plan was first unveiled in December 2011, there have been fears associated with personal data collected and exchanged at the border. This latest announcement has done little to ease these worries with respect to privacy rights and civil liberties. 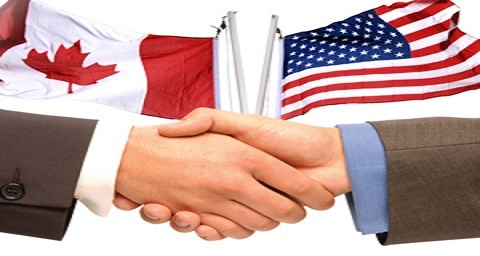 As part of their commitment under the Beyond the Border agreement, both countries have also announced the establishment of Joint Port Operations Committees at eight Canadian airports that offer U.S. pre-clearance service. The move is designed to, “help facilitate legitimate cross-border trade and travel and promote collaboration on overall port management.” In June, the Beyond the Border Executive Steering Committee met to oversee progress on the implementation of the action plan. They announced that in the interest of transparency and accountability, a joint public report will be issued in December. Public Safety Minister Vic Toews also recently gave an update on other aspects of the perimeter security deal. He stated, “We are making great progress. We have, for example, added NEXUS lanes, made air cargo screening programs mutually recognizable and installed new passenger screening machines to end duplicate screening in Canadian airports.” Toews added, “More work continues every day to fully implement this new shared vision that represents the most significant step forward in Canada-U.S. cooperation since the North American Free Trade Agreement."